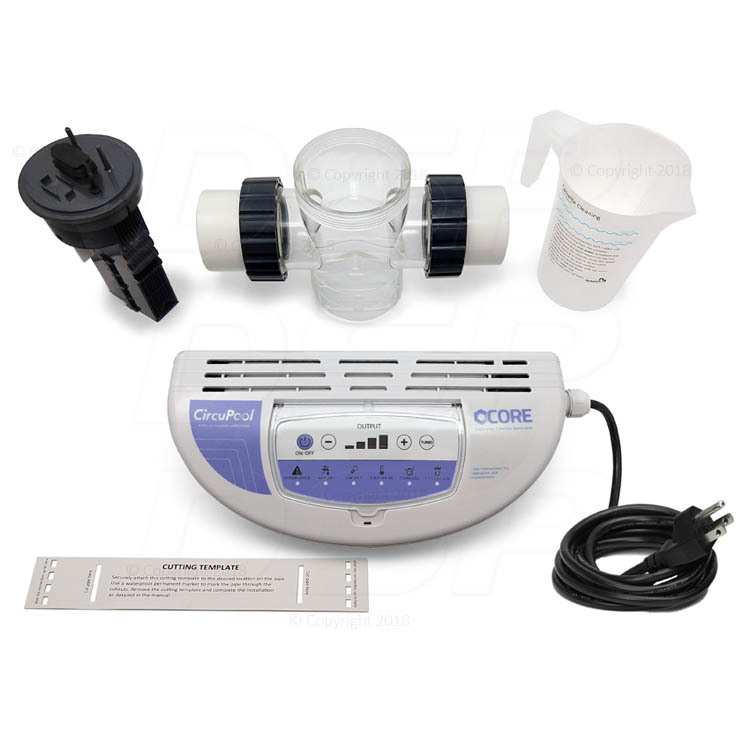 CircuPool CORE35 electronic chlorine generator is an advanced, fourth-generation salt pool system. 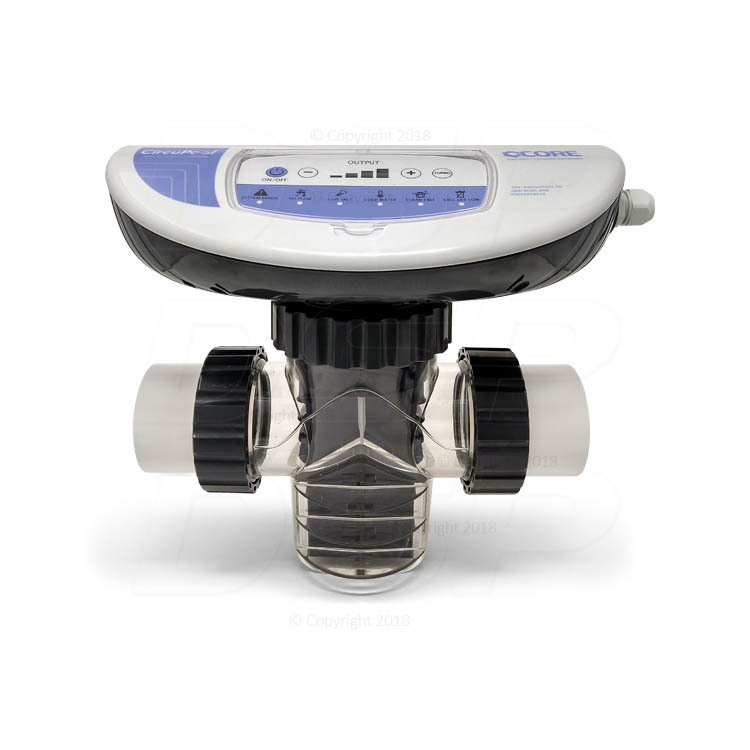 The CORE salt chlorinator works with existing pump and filter systems to keep the swimming pool sparkling clear every day - without having to add chlorine. The CircuPool CORE Series uses a very low salt level and makes the pool water silky soft to provide the ultimate swimming experience. Max capacity: 35,000 gallons. The CircuPool CORE35 salt system has a revolutionary integrated design: its Control Module, Electrolytic Cell, Flow Switch and sensors all fit together in a compact design that takes up a minimum amount of space. Better yet, its design is so simple that installation can be done in as little as 15 minutes, with no wiring required! Operation and maintenance are incredibly easy, making the CORE-Series a new customer favorite. 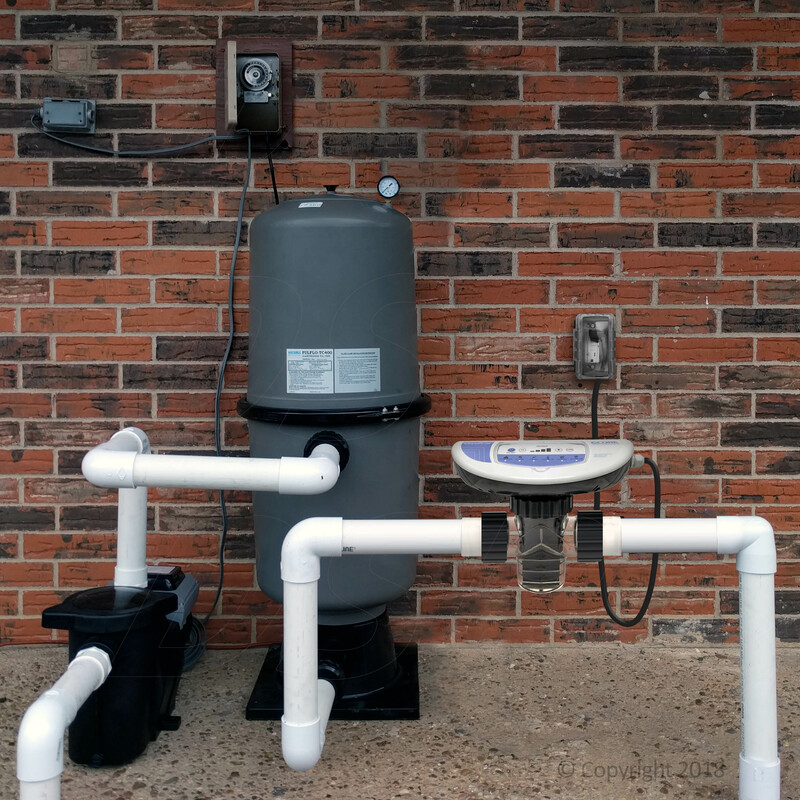 With it's available adapter kit, the CORE-Series will replace Hayward Aqua Rite systems without the need to replumb or rewire, making it a snap to upgrade your salt pool system! 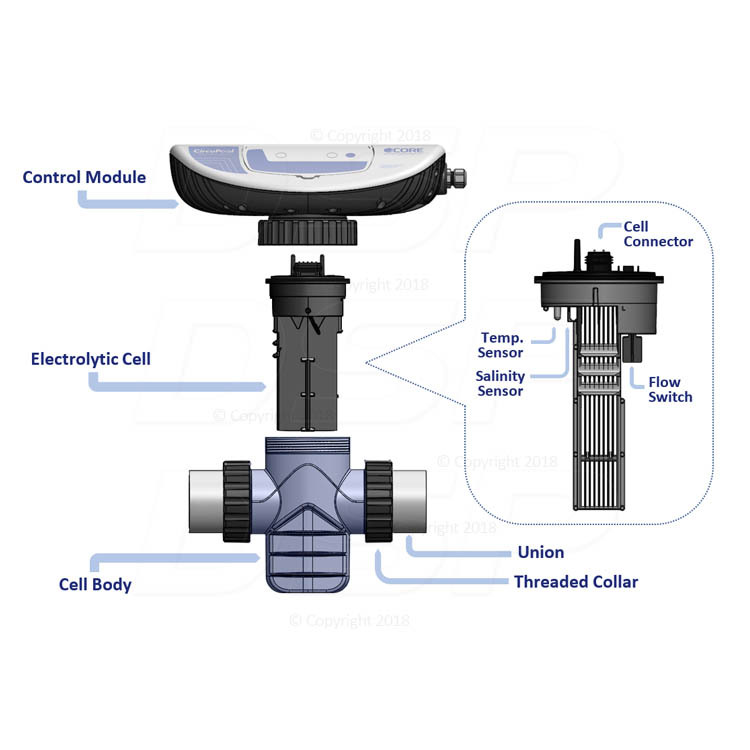 USA Titanium Cell, with industry-best 8-Year Limited Warranty. 4th-Generation system, combining the best in advanced technology with reliable, simple operation. Revolutionary compact design allows for incredibly easy DIY installation. Heavy-Duty, Weather-Proof construction with IP-66 Rated Protection. Easily disassembles for maintenance or cell replacement. I have this plugged into an extension cord until I can get the outlet moved but I can see it churning out the chlorine like crazy. This thing couldn't be easier to install. Don't waste your time looking anywhere else. This salt system is the best we've owned. I was in line to buy another bucket of chlorine tabs and instead bought this on my phone! I'm saving money and my pool looks good. 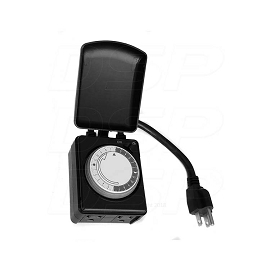 The CircuPool CORE Control Module is a built-in moulded-plastic unit with a LED indicators and touch-sensitive keypad. It mounts to the cell by threaded connection. The digital controls showt the the chosen percentage chlorine output and power bar-graph. 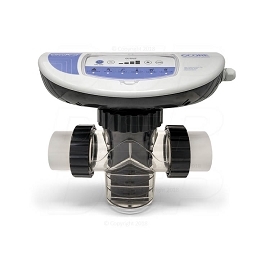 The keypad controls allow you to raise and lower the chlorine output and activate the boost mode. The advanced system diagnostics alert you when you need to add salt, clean the cell, check the water flow, check the Control Module's electronics, or replace the cell when it has reached the end of its lifespan. The Control Module has a built-in power supply cord which comes standard with a 110V plug for easy installation. The digital switch-mode power supply can also autoconvert to use 220V. 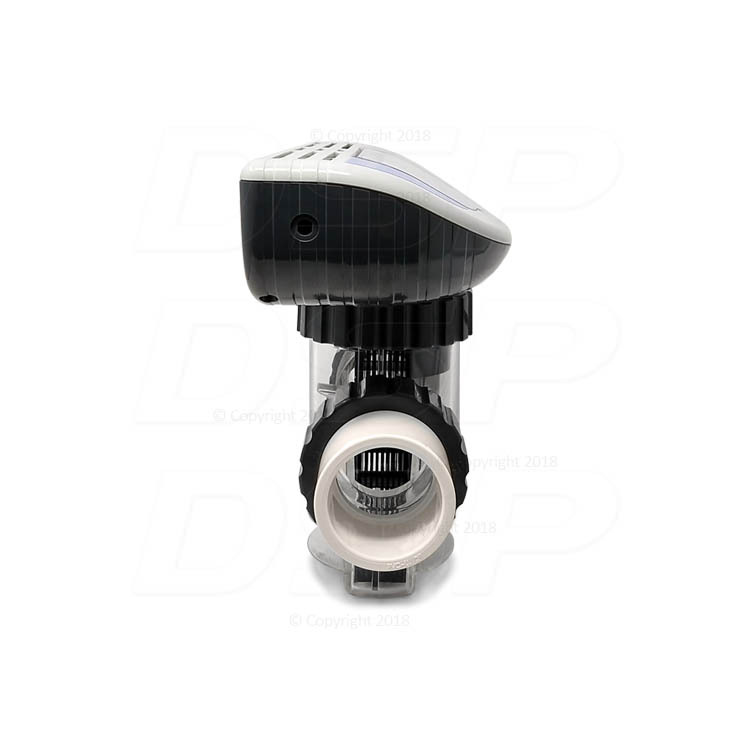 The CircuPool CORE Series comes with 2" threaded cell unions, cleaning vessel, installation cutting template, and instruction manual.